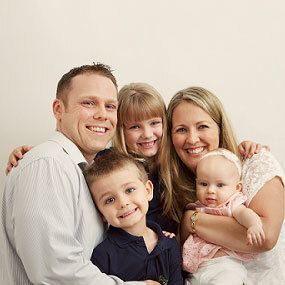 Dr. Joe Rivers joined Bremer in 2010 after moving to Queensland from Murwillumbah, NSW. He grew up in the United States and moved to Australia in 2007 to be near his wife’s family. Dr. Joe received his Doctor of Chiropractic degree after graduating with honors from Parker University of Chiropractic in Dallas, Texas. In 2012, he completed his post graduate diploma to become a Certified Chiropractic Wellness Practitioner. Dr. Joe has studied extensively in the fields of nutrition, exercise, and neurology. He has taken many post graduate courses in chiropractic for children (pediatrics), chiropractic during pregnancy, and Active Release Technique (considered the gold standard in soft tissue therapy). Dr. Joe is certified in the Webster Technique specifically used during pregnancy. Dr. Joe is now certified in SFMA. He is a member of the Chiropractic Association of Australia and also the International Pediatric Chiropractic Association. When not at Bremer, Dr. Joe enjoys spending time with his wife and three energetic children on their property near Jimboomba. He also enjoys reading, writing, teaching, and spending time at the gym doing Crossfit style training.